The organizers of Metabolomics 2017 are pleased to announce the confirmed keynote speakers below. Additional speakers will be added as they are confirmed. Click on each presenter to access their complete bio. 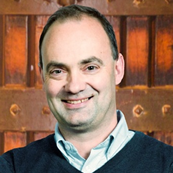 Markus Herderich has been the Group Manager - Research of The Australian Wine Research Institute (AWRI) since 2004. 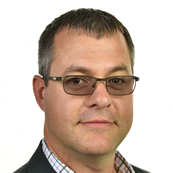 Markus is also an Affiliate Associate Professor at the University of Adelaide, member of the Executive Management Group of Metabolomics Australia (MA), Graduate of the Australian Institute of Company Directors (GAICD) and an Expert at the Organisation Internationale de la Vigne et du Vin (OIV). 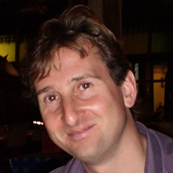 Markus is a Chartered Food Chemist and holds a PhD and Dr (habil) from the University of Würzburg, Germany. His research interests include aroma chemistry, biological chemistry and natural products chemistry, analytical chemistry and metabolomics. 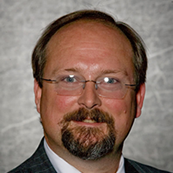 Markus has authored or co-authored more than 100 peer-reviewed publications. 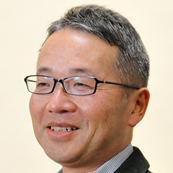 Jun Kikuchi is a Team Leader of Environmental Metabolic Analysis Research Team of RIKEN Center for Sustainable Resource Science, as well as a Visiting Professor of Nagoya University and Yokohama City University. He obtained his Ph.D. from Tokyo University of Agriculture and Technology, and he also continued to pursue methodological advancement for NMR analysis from purified proteins to complex metabolite and macromolecular mixture samples. Recently, his research fields have been explored further in complex systems, such as metabolic interaction between symbiotic microbe and host, naturally collected algae and fish biodiversity, environmental soils, sediments and water systems, as well as industrial metabolic reactions such as food fermentation and biomass degradation process. Because of these complex systems, many considerable factors and variables can be computed by a variety of data science approaches. Since 2017, he is an Editorial Board Member of Scientific Reports in Ecology and Evolutionary Biology field. 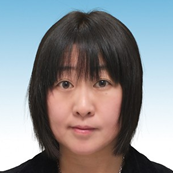 Miyako Kusano works at the School of Life and Environmental Sciences, University of Tsukuba and specialises in metabolomic profiling of plants. She has a PhD in agriculture, and she worked for sometime at the Swedish University of Agricultural Science. Through her career she has developed a keen interest in understanding how metabolomics can help produce better crops, using plants such as soybean, rice, tomato and some fungi. She supervises and directs a number of projects using headspace analysis and mass spectrometry of secondary compounds and lipids. Her work involves associations between metabolites, transcription products and proteins to understand completely the development of a phenotype that explains a quality trait of the crop. 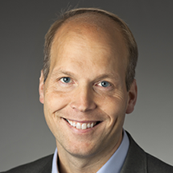 Johan Trygg is a full Professor in Chemometrics at Umea University, Sweden. Johan pioneered the development of Chemometrics on improving model interpretation, data integration and visualization of large complex multivariate data. This includes the OPLS solutions and its extensions, OPLS-DA, O2PLS and OnPLS, already in use by more than 150 companies, 50 international institutions and the top 20 pharma and biopharma companies. Johan has over the last 20 years worked with research and development of MVA and DOE technologies in a number of different areas including pulp & paper, forest and biotechnology, medical imaging, pharmaceutical manufacturing and in particular over the last 10 years on ‘omics technologies, particularly metabolomics with Swedish Metabolomics Centre (http://www.swedishmetabolomicscentre.se/) and AcureOmics AB. Since 2015, Johan is a visiting professor at Imperial College, London (J. Nicholson) and Senior Director of R&D at Umetrics (now part of Sartorius Stedim Biotech). Johan’s scientific track record includes 145 publications, H-factor (40), six granted patents and several awards including Baltic award for innovation and entrepreneurship (2012), Herman Wold medal in pure gold (2009) and Elsevier Chemometrics award (2008). 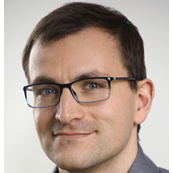 Johan was Associate Editor for Journal of Proteome Research during 2015-2016 and since 2009 has been chair of the Chemometrics chapter within the Swedish Chemical Society. 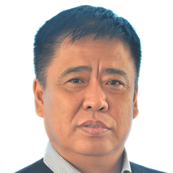 Xijun Wang, PhD in the field of pharmaceutical science in Hokkaido College of Pharmacy, Japan at 1998, is a professor of traditional Chinese medicines (TCM), vice president of Heilongjiang University of Chinese Medicine, China; Chairman of Specialty Committee of TCM pharmacogonosy of WFCMS. At the beginning of 1990s, he established the theory and method of Serum pharmacochemistry of TCM (SP-TCM) for finding the effective constituents of TCMs. Entering the 21st century, he innovated the theory and method of Chinmedomics by integrating the metabolomics with SP-TCM to elucidate the scientific value of Traditional Chinese Medicine, specially to find the biomarkers of TCM syndrome and evaluate the holistic efficacy of TCM formula, to discover the effective constituents by identifying the constituents of TCMs in vivo which highly related with the biomarker trejectory while the TCM formula showing clinical efficacy. He published 170 papers on peers-review journals, and published monographs such as Chinmedomics（Elsevier,2015）and Serum Pharmacochemistry of Traditional Chinese Medicine（Elsevier, 2017). The following have been confirmed as Session Keynote Speakers. Each presenter will have a 30-minute talk at the beginning of their session. Photos and Bios coming soon! 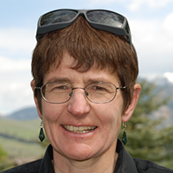 Dr. Copié is a Professor of Biochemistry and Director of Montana State University’s NMR center. Dr. Copié is also an affiliate faculty of the University of Washington, and is involved in the teaching of human metabolism and medical biochemistry to UW-affiliated WWAMI medical students. Dr. Copié has received extensive experience and training in biological NMR, and has established a research program ranging from protein structural biology to metabolomics. Our metabolomics research interests focus on understanding how bacterial pathogens manipulate host metabolism to evade host immune defenses, and how such metabolic reprogramming contributes to non-healing, chronic wounds in humans. Our lab is also interested in determining the specific metabolic strategies that enable hyperthermophilic microorganisms to grow and thrive in extreme environments including arsenic-contaminated soils. Dr. Copié has served on numerous federal grant review panels, peer-reviewed manuscripts for many different journals, co-authored > 50 publications, and currently serves as associate editor for the journal Current Metabolomics. In 2007 Maik started his studies on biomathematics, with key aspect in statistics and ecology, at the university Greifswald and graduated in 2013. Afterwards he joined the Metabolomics working group at the Institute of Clinical Chemistry and Laboratory Medicine at the University Medicine Greifswald. During his Ph.D thesis he worked on the influence of thyroid function and novel thyroid hormone metabolites on the metabolome of plasma and urine, with a special emphasize on complementary diagnostic signatures. His current research focus is on metabolome-wide association studies to diverse metabolic phenotypes, covering endocrine and metabolic diseases. Mary Garson completed a PhD degree at The University of Cambridge, UK, then undertook postdoctoral research as an Overseas Research Fellow of the Royal Society in Rome, Italy, followed by a research fellowship held at New Hall, Cambridge. She then spent two years working in the pharmaceutical industry in the UK, before moving to Australia as a Queen Elizabeth II Research Fellow at James Cook University of North Queensland. She is now a Professor of Chemistry at The University of Queensland, and has completed 425 SCUBA dives for sample collection linked to research into marine natural products chemistry; the flatworm Maritigrella marygarsonae (“little female sea tiger”) is named in her honour. My programme of research focuses on the development of metabolomics and lipidomics tools to investigate aspects of the Metabolic Syndrome. In particular I have an interest in identifying biomarkers that stratify patients according to risk factor of metabolic diseases and understand the associated underlying mechanisms. My group has been at the centre of the development of metabolomics as a research tool in biochemistry, and in particular its application to medical diagnostics. Since my fellowship in the Nicholson group at Imperial College London, my group at the University of Cambridge has examined the use of metabolomics as a tool for monitoring atherosclerosis [Kirschenlohr et al., Nature Medicine, 2006; Cheng et al., Physiol Genomics, 2010], modelling metabolism changes in cardiac disease [Wang et al., J Prot Res, 2015] and modelling whole body metabolism in aspects of the Metabolic Syndrome [Roberts et al, Genome Biol. 2011; Roberts et al., Diabetes, 2015, 2017; Atherton et al., Mol Syst Biol. 2009]. Central to the ethos of the group is a mechanistic understanding of why these metabolic changes occur. I am Professor of Metabolism and Nutrition at the University of Cambridge, an Honorary Professor at Imperial College London and a Visiting Professor at the University of Cagliari, Italy. I am also the recipient of a Thought Leader Award in mass spectrometry from Agilent Corporation. I am the current President of the Metabolomics Society and a director of the Metabolic Profiling Forum. 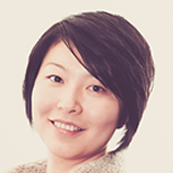 Dr Jia Li is a Lecturer in Human Development and Microbial Signalling at Imperial College London. She graduated from Chemistry Department, Nankai University, China in 2005, and obtained a PhD in biochemistry from the University of London in 2009. Since she was awarded an Imperial College Research Fellowship in 2010, she started to establish her independent research in host-microbial interactions post weight loss surgery, focusing on the functional roles of the gut microbiota. 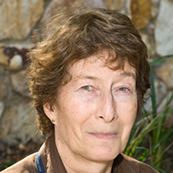 She is a member of Royal Society of Chemistry (RSC) and Biochemical Society. She has received a number of awards and grants including MRC new investigator research grant, World Economic Forum Global Young Scientist, Imperial College Deputy Rector’s Award, and Wang-Kuan-Cheng Research Fellowship. Tom Metz received his Ph.D. in Chemistry from the University of South Carolina, using mass spectrometry to study the role of the Maillard reaction in the development of diabetic complications and in aging. He then conducted post-doctoral studies in separations coupled with mass spectrometry at Pacific Northwest National Laboratory (PNNL) with a major focus on metabolomics and minor focus on proteomics. Currently, he is a staff scientist and the metabolomics technical lead in the Integrative Omics group at PNNL, as well as the Team Lead for a group of scientists that focuses on applications of high throughput proteomics, metabolomics, and lipidomics methods to various biological questions. His research has focused on the development of both untargeted and targeted metabolomics and lipidomics capabilities based on chromatographic and other separations coupled with mass spectrometry, for fundamental studies of metabolism and metabolic interactions, as well as for biomarker discovery in the context of both chronic and infectious disease. Dr. Raftery is a Medical Education and Research Endowed Professor at the University of Washington, School of Medicine, and a Member of the Fred Hutchinson Cancer Research Center in Seattle WA. 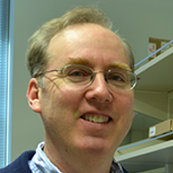 He is the Founding Director of the Northwest Metabolomics Research Center. 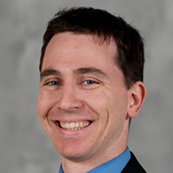 Dr. Raftery’s group uses and develops advanced NMR and mass spectrometry methods for the identification of disease biomarkers and the exploration of systems biology from mitochondria to cells and from animal models to human subjects. His research group focuses on the discovery of cancer biomarkers and their development into robust profiles for diagnostic applications, as well as methods to improve measurement quality and coverage of the metabolome. Mark Styczynski is an Associate Professor in the School of Chemical & Biomolecular Engineering at the Georgia Institute of Technology. He uses metabolomics to study multiple model systems, and to drive development of computational modeling techniques to improve metabolic engineering. He also uses synthetic biology to develop low-cost diagnostics for the developing world. He has received NSF’s CAREER award, DARPA’s Young Faculty Award, and NIH’s MIRA Young Investigator award. He is also on the editorial board for Mathematical Biosciences. Most recently, Mark has helped lead the formation of the Metabolomics Association of North America, which is looking to maintain a close relationship with the Metabolomics Society. He would love to talk with anyone who wants to get involved! Professor Lloyd W. Sumner acquired his Ph.D. in analytical chemistry from Oklahoma State University in 1993. He joined the Samuel Roberts Noble Foundation in 1999 and rose to the rank of Professor within the Plant Biology Division. He recently moved to the University of Missouri, Columbia in January 2016 as a Professor in the Biochemistry Department and Director of the MU Metabolomics Center. Dr. Sumner’s research program focuses upon the development, integration, and application of large-scale biochemical profiling technologies to better understand plant specialized metabolism. Dr. Sumner’s research is or has been graciously supported by the University of Missouri, Noble Foundation, NSF 2010, NSF MCB, NSF MRI, NSF-JST, NSF-IOS, NSF-PGRP and The Oklahoma Commission for the Advancement of Science and Technology. Dr. Sumner is currently an AAAS Fellow; Former Treasurer and President of the Metabolomics Society, Lifetime Honorary Member of the Metabolomics Society, Distinguished Alumni of Cameron University, and President Emeritus of the Phytochemical Society of North America. Hiroshi Tsugawa is a researcher at RIKEN, Japan. 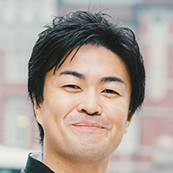 The main project is to develop software tools for untargeted- and targeted metabolomics/lipidomics: Hiroshi is now managing MS-DIAL, MS-FINDER, MRMPROBS, Statistics tools as Excel Macro, and so on at computational MS-based metabolomics section of RIKEN Prime Web site (http://prime.psc.riken.jp/). Hiroshi is a basketball player from junior high school until the end of his college age, and he got his PhD at Osaka University (in Prof. Eiichiro Fukusaki lab, 2012). Since he started his research at RIKEN Masanori Arita team, he also learned a lot of things at UC Davis Oliver Fiehn laboratory in a collaboration work.